This Dehumidifier Aquasorb AQ-30 unit condensates out the water instead of having a wet airflow, which is important for some applications. 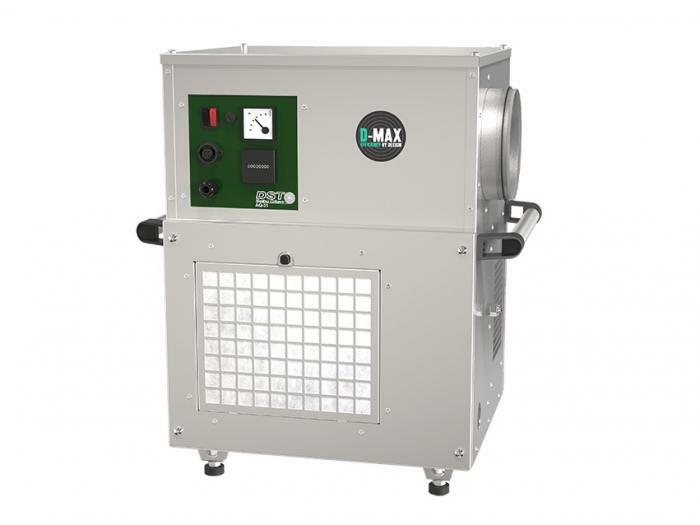 For example, if the wet air is difficult to duct too outdoor or that all the heat put is collected into the unit in the dehumidified room. On water damage restoration application, it is also important as it makes it possible to install a lot of units during a short time when you have larger jobs. 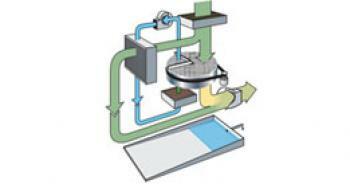 If there is no floor drain available, the units have a condensate pump which easy lead away excess water to a sink. Their chassis are in stainless steel, the process fan has a EC motor and is the same for both the dry air and the cooling air. The regen fan is a compact 12Vdc fan and has a maximum working pressure at 158⁰F and it is protected by a thermostat that is located between the fan and the heater. The heat exchanger (wet air/cooling air) is made of aluminium with silicone sealing which gives it a high maximum working temperature.